This creature is just one of the many long necked, wide bodied, saurian beasts, which are said to lurk in the watery depths of the Highland lochs of Scotland. 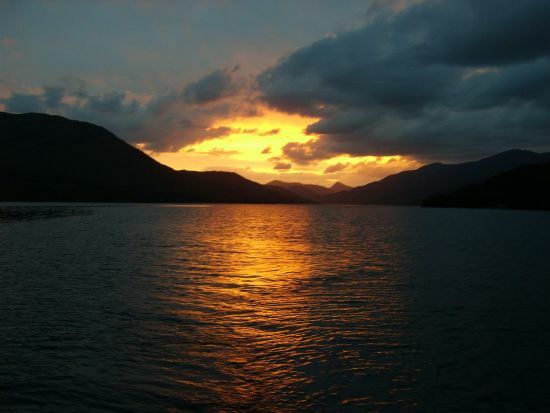 Loch Arkaig is yet another of the many glacier formed lochs, which have cut a swathe across the Scottish Highlands. Wedged between Loch Ness and Loch Morar, Arkaig assumes the unique position of resting between the two most monster infested lakes in all of Scotland. That having been said, it should come as no surprise that reports of a large, unknown, aquatic animal have come from this body of water since before 1857. Described in much the same fashion as most of its Scottish brethren, the Arkaig Monster is reputed to be one of many long necked, wide bodied, four flippered monstrosities dwelling in lakes across the world. Beyond this description there are very few published accounts regarding eyewitness encounters with this beast. Still, there are some investigators who have posed the theory that the LOCH NESS MONSTER and MORAG may actually be one in the same as this creature. They have suggested that this creature (or creatures) may migrate between the Lochs through the Caledonian Canal, or possibly even utilizing heretofore unknown subterranean passages.